It is now news that the infinix hot 5 lite is one the searched smartphones on the internet right now. The first thing you should note about the infinix hot 5 lite is that it is the "toned down version" of infinix hot 5. Apart from not coming with the finger print scanner and having a smaller RAM size, the infinix hot 5 lite shares almost the same specifications with the infinix hot 5. 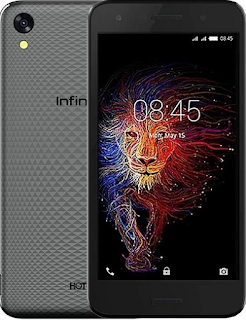 Infinix hot 5 lite comes with the usual internal 16GB Storage with support for memory card up to 32GB. I am not too impressed with the device's 8MP Rear Camera and 5MP Front Camera. But it's not too bad for a lite version you know. The device supports 3G network connection mode for fats browsing and downloads and Wi-Fi. 4000 mAh Battery with Fast Charging, I must say I am impressed with the battery capacity. The endurance rating stands at about 89%. I expected the device's decent wide angle viewing since the Infinix Hot 5 Lite uses an IPS panel. Though I am not happy the fingerprint scanner on the rear of the Hot 5 is missing on the inifinix hot 5 lite. And like the other device, the Infinix Hot 5 Lite does not support 4G LTE. It offers 3G support and other regular wireless connectivity options, such as Bluetooth and Wi-Fi. You can now shop for your Infinix Hot 5 Lite in Nigeria, Kenya, and Ghana. You can buy the smartphone at leading online stores in the countries listed. The price for Infinix Hot 5 Lite in Nigeria ranges between 40,000 Naira and 50,000 Naira, depending on your location in the country.